The Financial Planning Toolkit is organized to help guide individuals through decisions that make sense at various life stages. This lifecycle approach provides the novice user with a logical place to start, while the comprehensive drill-down table of contents provides more seasoned users with direct access to the particular detail they’re seeking. The site is continuously updated with the latest information and augmented by articles on consumer finance related topics written by a staff of business and finance professionals. 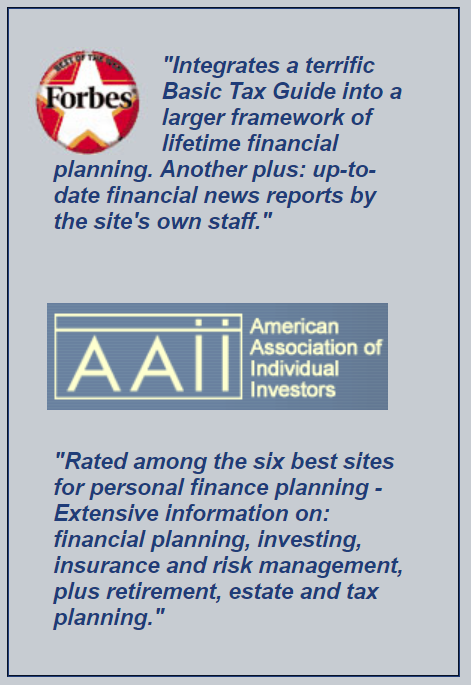 Click the following link for more than 1,500 financial planning documents, tools and interactive calculators.